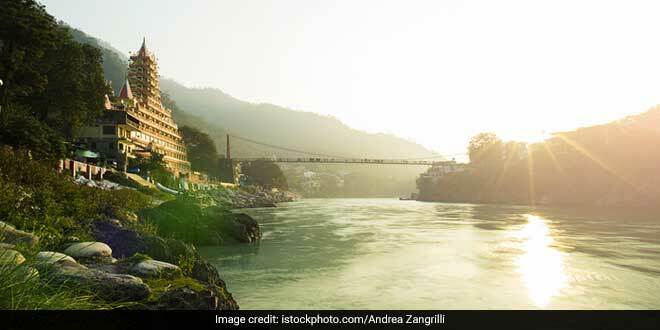 New Delhi: The government has sanctioned 254 projects for the rejuvenation of River Ganga, Union Water Resources Minister Nitin Gadkari said on Wednesday, adding Prime Minister Narendra Modi had suggested to clean the river first and then focus on its continuous flow. Seeking to blunt the criticism on the government’s exercise to clean the river, he said a lot of projects have been undertaken under the Namami Gange Mission and there will be significant changes on the ground after 2019. The prime minister gave us a suggestion that first you make Ganga clean and then talk about its ‘Aviral Dhara’ (continuous flow), Mr. Gadkari said at the Third India Water Impact Summit 2018 here. The minister noted that experts had recommended that ‘aviralta’ was a “crucial issue” for the river following which the government came out with a notification in this regard. In October, the Centre had notified the minimum environmental flows for River Ganga that has to be maintained at various locations on the river. Environmental flows are the acceptable flow regimes that are required to maintain a river in the desired environmental state or predetermined state. In next year, in March, April, May and June, I am confident that you will see ‘aviral’ Ganga, Mr. Gadkari said. The NDA-led Centre had faced flak over the issue following the death of Ganga activist G D Agarwal, who had been campaigning for cleaning of the river and making it ‘aviral’. Gadkari said since the inception of Ganga cleaning programme (in 1985) till 2014, the central government had spent less than Rs 4,000 crore on the issue but with the launch of the Namami Gange programme, a provision of Rs 20,000 crore has been made for five years. So far, the National Mission for Clean Ganga (NMCG) has sanctioned 254 projects for more than Rs 24,000 crore and spent about Rs 5,000 crore in the last four years, he said. Mr. Gadkari said 133 sewerage infrastructure projects costing Rs 19,789 crore will create 3,969 million litres per day (MLD) of sewage treatment capacity and lay down 4,871kilometers of sewerage network. We will also be undertaking work in Madhya Pradesh, the minister said referring to projects to be undertaken on a sub-tributary of Ganga.